For five decades, the 911 has been the heart of Porsche. It’s the fifth most influential car of the 20th century and one of the world’s most popular and successful sport cars of all time. To any Porsche enthusiast, it’s clear to see that the 911 has become the central point of reference for all other series. From the Panamera to the Cayenne, each one carries a piece of the 911 philosophy. So, what makes the 911 the best of its kind? The 991 (2011) represents the greatest technical leap in the 911 evolution. The new generation raised performance and efficiency to incredible levels, becoming a class benchmark for decades. With longer wheelbase, wider track, and larger tires, as well as an enhanced interior, it makes for simultaneously sportier and more comfortable driving experience, Fuchsfelge USA notes. 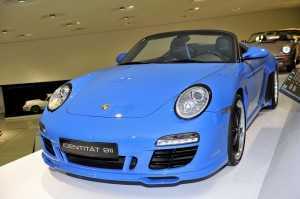 The 911 is recognized for higher performance and even lower fuel consumption. It’s all thanks to the smaller displacement Carrera basic model (3.4 liter) and its hybrid aluminum/steel construction leading to reduced curb weight. Other innovations include the world’s first seven-gear manual transmission and of course, the Porsche Dynamic Chassis Control (PDCC). In 2006, people were introduced to the 911 Turbo. It is the first gasoline-powered automobile that has a turbocharger with adaptable turbine geometry. With an extraordinary engine power and surprisingly low energy consumption, the 911 Turbo is truly one of a kind. But of course, the Porsche 911 wouldn’t have the validation it has today without its design. Like its technical and performance capabilities, the seamless design of the 911 has received high critical acclaim. When it comes to interior aesthetics, nothing surpasses the seventh generation Porsche 911 Carrera. With exciting contours, flat silhouette, and precise details, it has redefined the standard automobile design. With more innovations on the horizon, the Porsche 911 and its future generations will continue to excite and reinvent the automotive industry. For now, the 911 shall remain the best of the 21st century.